A family-owned distillery built on a working farm on the east coast of Angus. The Stirling family has been farming at Arbikie for four generations. 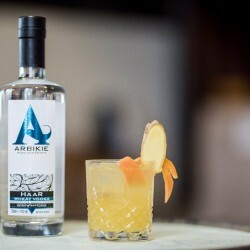 Brothers John, Iain and David have gained an intuitive understanding of the red sandstone-tinted land they grew up in from their hands-on experience of sowing and harvesting the crops that now create Arbikie’s quality spirits. Situated where land meets sea, the Arbikie distillery was built in a place that has all the ingredients required to produce spirits of the highest quality. 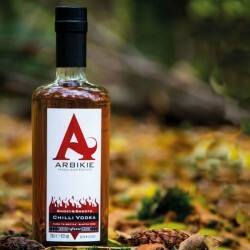 The Arbikie Distillery has won multiple awards including a Gold medal at Chinese Wine & Spirit Awards, Best Scottish Gin Distiller at New York Spirit Awards and 'Best Vodka' at Paris Cocktail Spirits awards. 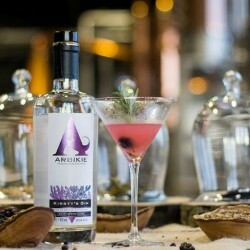 Their vodka was named as one of world's best vodkas by GQ Magazine.